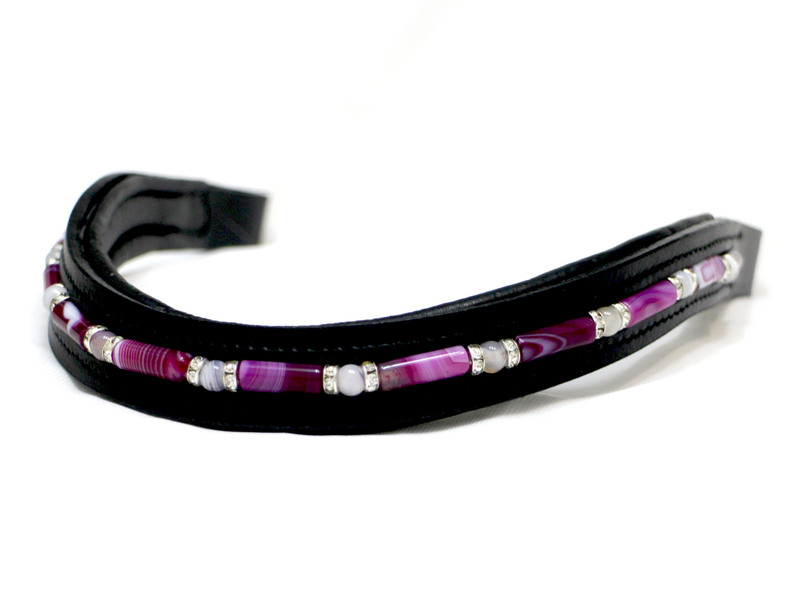 Please click here to view instructions on how to bead your own browbands! 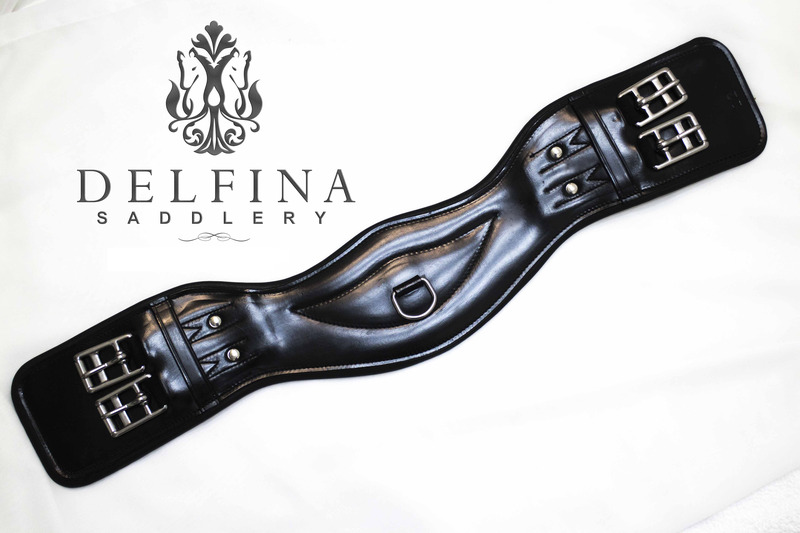 Premium quality cheek pieces for bridle. Premium quality headstall with padded crown. Does not include cheek pieces. Beautiful Unicorn Pin with Austrian Crystals. Can be used as a stock pin or a pendant on a necklace. Makes a great gift! 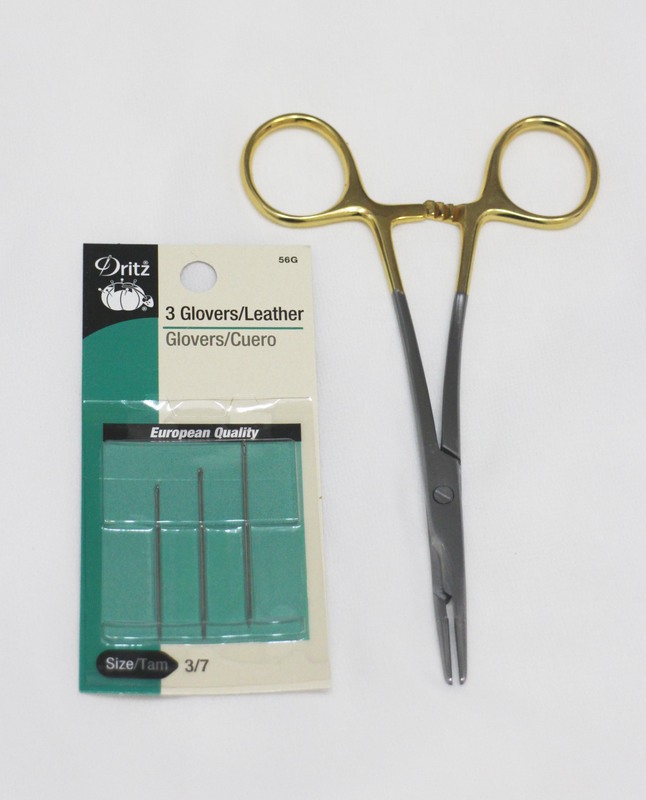 Premium quality bradoon hanger for converting any snaffle bridle into a double bridle. Also can be used alone to introduce young horses to the bit. 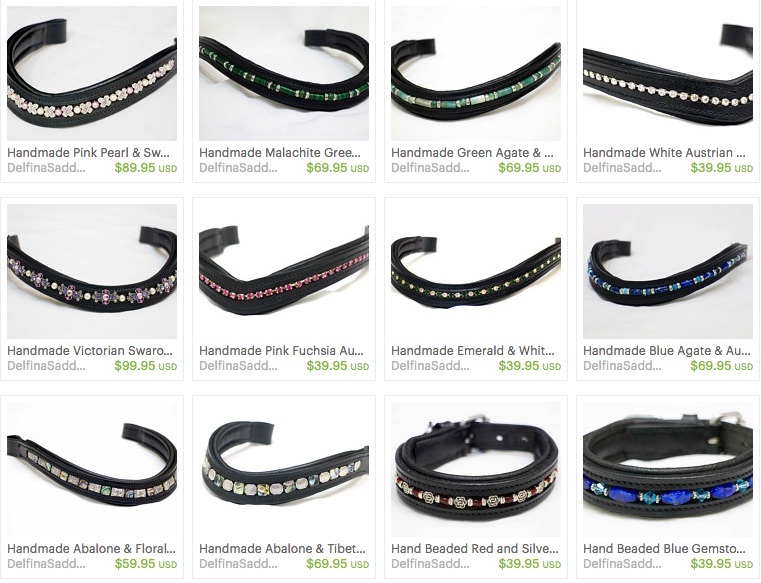 Each browband is handmade to order in the USA. Large 6mm white Swarovski crystals. Stunning! 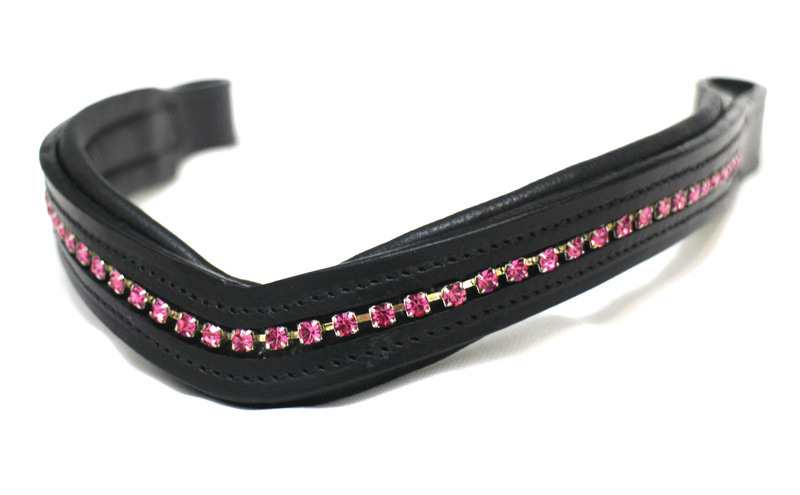 Beautiful handmade browband with swarovski pearls and silver and pink swarovski slider beads. Beads are meticulously sewn into browband. Soft padded high quality leather.